Part 2 of the watercolor painting demonstration concentrates on design aspects and finishing details of the landscape. Steve investigates the foliage and explores watercolor design options in the trees and bushes which add beauty and charm. 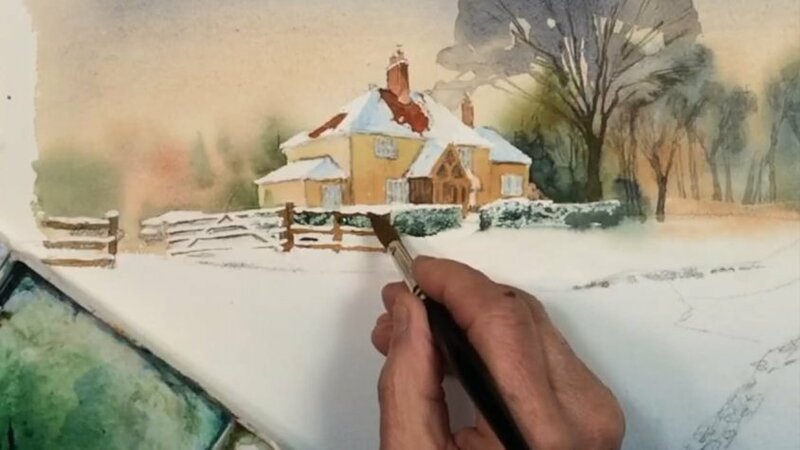 Watercolor techniques for painting the snow are revealed. Final details of the house are completed. The video lesson ends with tips on how to sign your work.